Ajnara Integrity, budget homes by Ajnara India located at Raj Nagar Extension, Ghaziabad. The project is designed to give you an experience of living in beauty and gaiety which meets your expectation of settling down in Delhi and NCR. Ajnara integrity offers 2BHK, 3BHK and 4BHK luxurious apartments with world class amenities and a great lifestyle at an affordable cost. Ghaziabad, due to its easy accessibility from the capital and other suburbs, offers a strategic location, encompassed by the proposed Metro Station, world class infrastructure, residential and commercial complexes, shopping malls, multiplexes, schools, hospitals, community center, parks and shopping centers and other luxuries of modern living. Ajnara Integrity is crafted with the architectural brilliance that is a great choice for you and your family. Ajnara India Ltd. is a well-known name in the realty market with a practice of more than two decades guiding through its growth and success. The Group was established in 1991 and is today a leading real estate developer in the NCR. Ajnara is well-known for quality construction, it is one of the first developers to have been certified ISO 9001:2000 in North India. Their service offerings include the most diversified product mix comprising residential, commercial/IT parks, retail, hotels and townships. Where is Ajnara Integrity located? Raj Nagar Extension, a prime residential locality for house seekers in Ghaziabad. What is available flat size in Ajnara Integrity? Flat sizes in the project range from 815.0 sqft to 1775.0 sqft. What is size of 2 bhk in Ajnara Integrity? 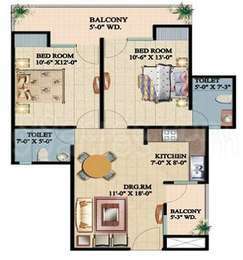 The area of 2 BHK apartments ranges from 815.0 sqft to 1180.0 sqft. What is the area of 3 bhk in Ajnara Integrity? 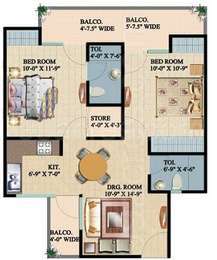 Three-room units (3BHK) in the project are available in an area of 1175.0 sqft to 1625.0 sqft. 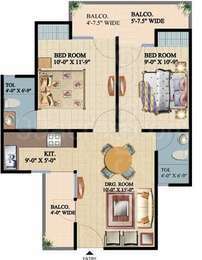 What is the 4 bedroom size in Ajnara Integrity? Four-room units (4BHK) in the project are available in an area of 1750.0 sqft to 1775.0 sqft. How much is the actual area of Ajnara Integrity?The area of the project is 23.0 Acres. Ajnara India is a real estate giant with an experience of almost a decade and a half, guiding its growth. The expanse of East Delhi and U.P. being its centre of operations, Ajnara has effectively completed various projects, both residential and commercial in nature, on land acquired from DDA GDA, through auctions. Is it wise to invest in Ajnara Integrity? What are the prospects of property in this area? Please assist. Hi Komal! Property rates in Ajnara Integrity have gone down by 4% in the last 1 year. However, Raj Nagar extension has been identified as one of the affordable housing hotspots. With many infrastructure developments in the pipeline in Raj Nagar Extension, we can expect a boost in real estate as well. Redline metro expansion is also about to be operational which will lead to increment in property rates in this area. Also, a cricket stadium is being proposed in this area along with domestic airport which is about to be operational are in proximity to this project. You can also consult a property dealer who can help you compare similar projects in this region for more options. I am planning to buy a 4 BHK in Ajnara Integrity. What are the ask rates? What all facilities are there for kids in this project? What all security measures are there in this project to ensure the safety of the residents? Hi Shekar! Ajnara Integrity has 4 BHK with super built-up areas 1,750 sq ft and 1,775 sq ft. Price varies in the range of Rs 47 Lakh to Rs 85 Lakh. There are facilities like Badminton Court, Basketball court, cricket pitch, jogging track, lawn tennis court, squash court, table tennis court, swimming pool and gazebos along with lawns. Apart from that GD Goenka Public school and Carlo Global School not more than 2 km away. Virender Sehwag Cricket Academy and Kooh Sports Cricket Coaching Centre are also in the vicinity of this project. It is a gated society with guards at all the entrances of this project along with CCTV surveillance. Firefighting systems have also been installed at appropriate spots to ensure that the staff is equipped to deal with any kind of emergency.